Honestly, I am not someone who likes glitter polish on my nails. 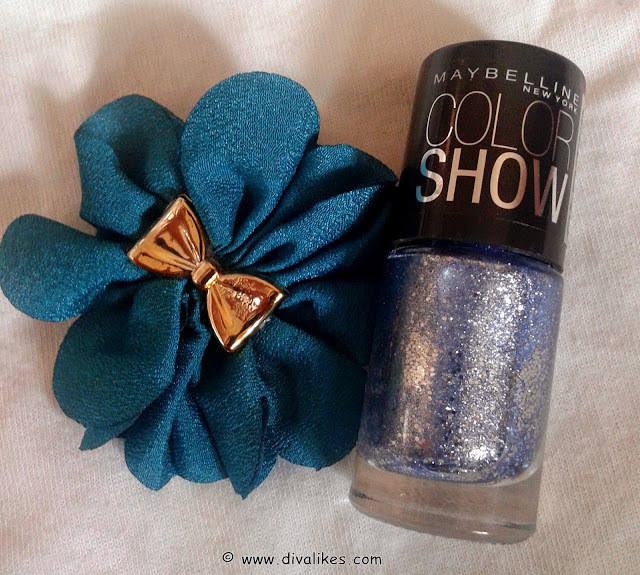 But then I couldn't resist myself from picking a shade of the Glitter Mania range by Maybelline. Maybelline is famous for bringing really great products into the market at a very reasonable rate. 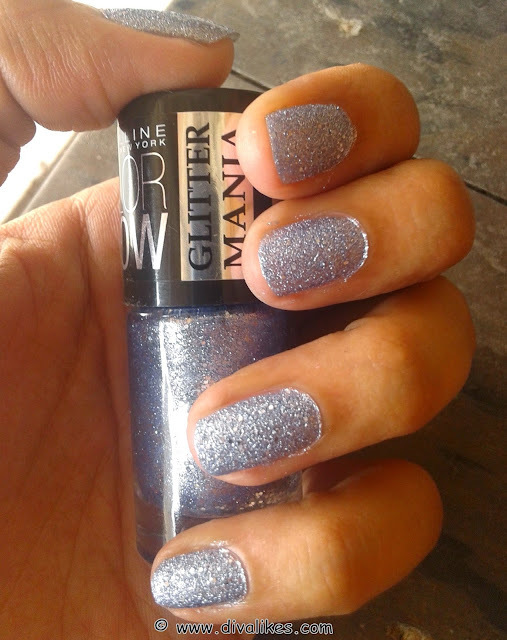 They have wowed us once again with this glitter mania range. Today, I am going to review Bling On The Blue shade from this range. I am sure you will fall in love with this lovely range, like I did. 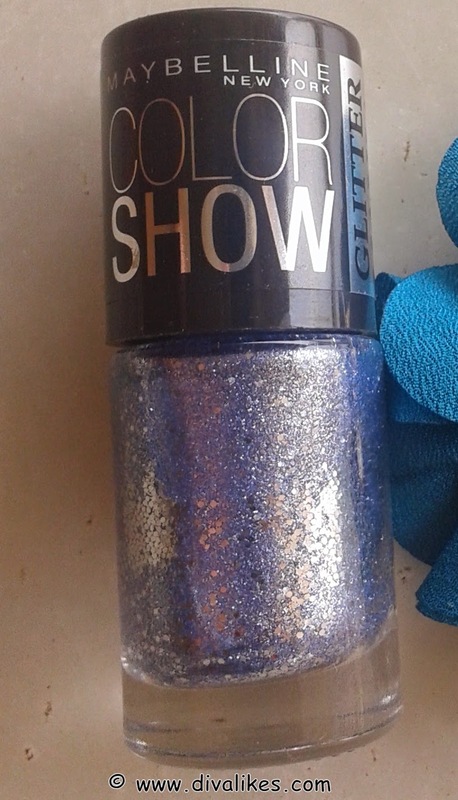 Maybelline Color Show Glitter Mania Bling On The Blue comes in a sleek cylindrical clear bottle with a black screw on cap. 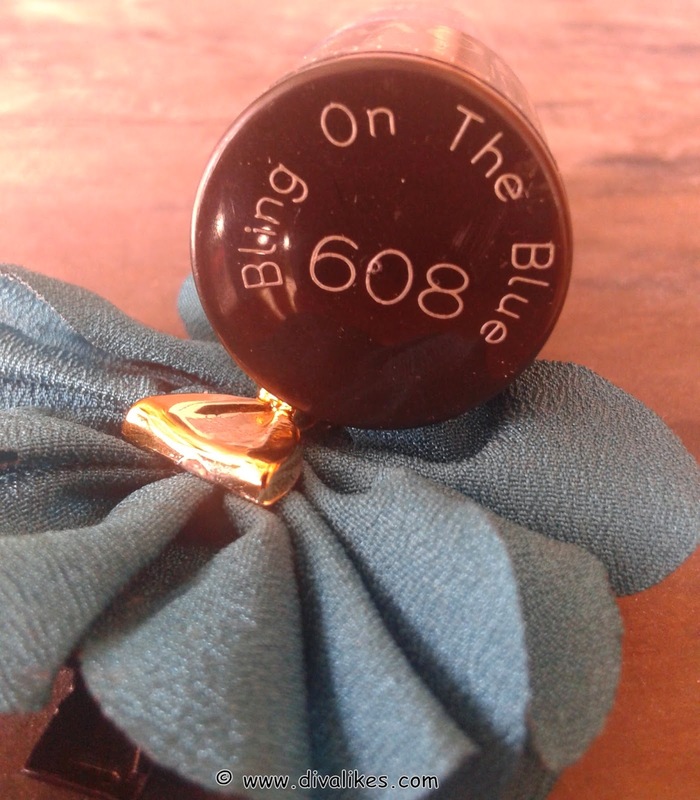 The shade name is mentioned on the cap. It comes with a very good quality brush which helps in a very easy and even application. I really like the look of the Glitter Mania Nail Paints. The texture of the nail color is neither runny nor too thick. It applies very evenly and smoothly onto the nails. It dries pretty fast. 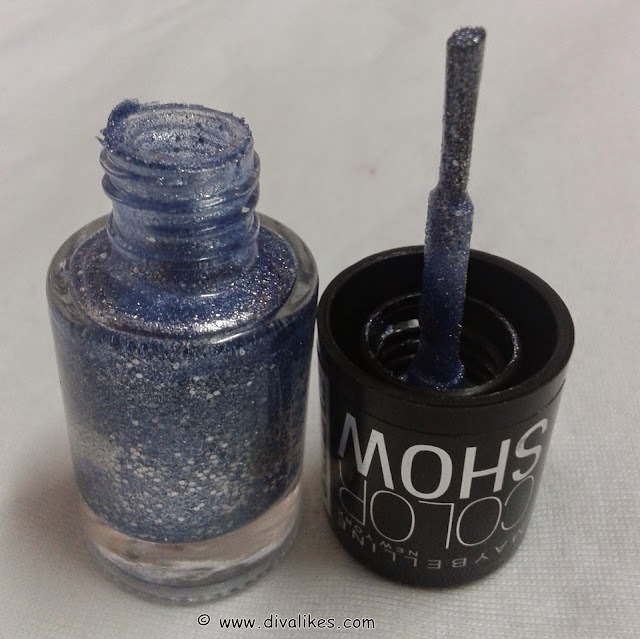 You need two coats to get a complete opaque finish. 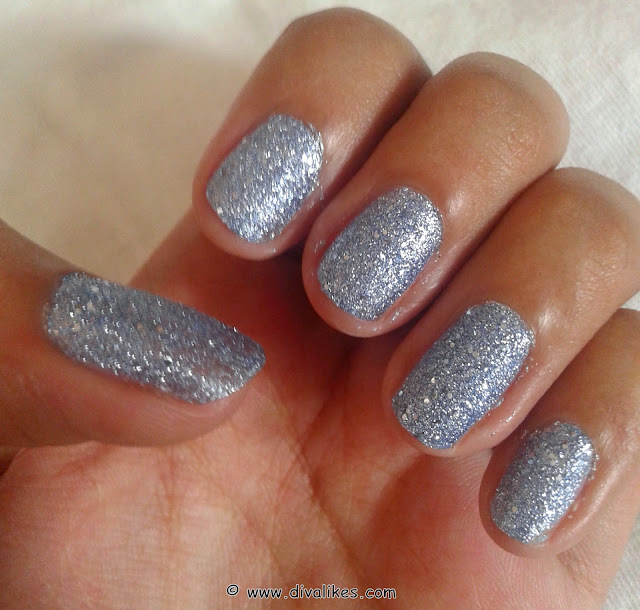 Bling On The Blue is a lovely sky blue shade with tons of micro shimmer, silver glitter and hexes. It gives a lovely sand finished texture. It stays on my nails for 5 days without any chipping. The only problem I face with this shade is that it is way too light. It is a pretty pale shade and makes my hands look darker. From my personal experience, I can say that this is not an ideal shade for dark or tanned hands. Gives a lovely sand-like texture to the nails. Pretty sky blue shade with shimmer and glitter. Wear time on this shade is about 5 days which is pretty good. It is a pale shade and thus may not look good on dark/tanned hands. I think you should definitely pick at least one shade from this range and Bling On The Blue is definitely a wonferful sky blue shade with shimmer and glitter. Getting a textured nail polish at this price tag is like a dream come true! I need to get my hands on this pretty shade..
Everyone is in love with glitter mania & this color looks good too!